After smashing out a BodyCombat masterclass at the Les Mills workshops, Elwyn and I decided to head for lunch at the Meatball Bar. 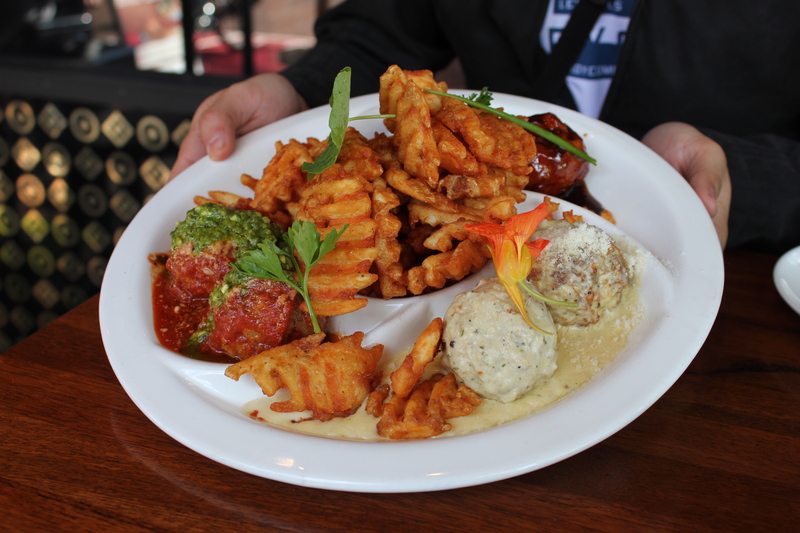 The Meatball Bar is located in the heart of Leederville and as the name suggests, it’s meatballs galore. I’ve heard that The Meatball Bar can be quite packed but we were lucky to have just arrive after the peak Sunday lunch hour. The menu features a variety of meatballs and they are fine and fancy. 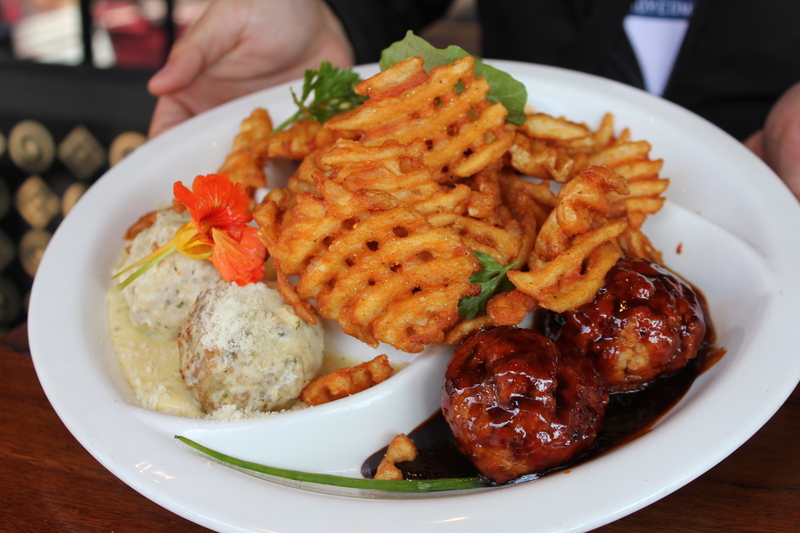 In the end, we shared The Ballbreaker ($48) which comprises of the chef’s selection of six meatballs and waffle chips. There’s the Sticky BBQ balls, classic beef balls and chicken, bacon and camembert balls. The meatballs are generous, juicy and delicious. Out of the three types of meatballs offered, it was very clear that the winner is the Sticky BBQ balls, which was our favourite. It’s thick, sticky and very tangy, bursting full of flavour. The best part? Dipping the crisp, tasty waffle chips in the sticky BBQ sauce. Compared to the sticky BBQ balls, the classic beef balls and chicken, bacon and camembert balls didn’t fall too behind either. We enjoyed the Meatball Bar and I am looking forward to be back to try other dishes from their menu. The service at the Meatball Bar is friendly and efficient and the atmosphere is lovely, making it a great place to dine. If you love your meatballs, the Meatball Bar is worth giving a try.